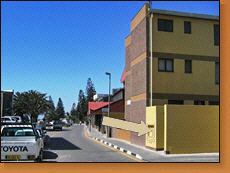 Earthmaps Consulting CC was founded in 2004 and is based in the heart of Swakopmund on Namibia’s west coast. Earthmaps Consulting draws its experience from many successful years of service to the minerals exploration and mining industry in Namibia and Africa. 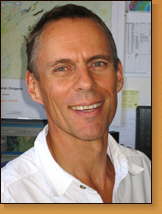 Klaus-Peter Knupp: a Namibian national by birth, Klaus has extensive experience in geophysical exploration both as a scientist and in exploration management, built on a life long passion for earth science and exploration. Commodities: Gold, Copper, Lead, Zinc. 1995 – 2001: Section & Divisional Geophysicist in West Africa, Angola, Botswana: Anglo American plc. Commodities: Gold, Nickel, Copper, PGE, Zinc, Lead. 2002 – 2003: Exploration Project Manger: Skorpion Zinc: Ambase Exploration (Namibia) Pty Ltd: non-sulphide Zinc. Commodities: Uranium, Gold, Copper, Lead, Zinc, Diamonds, REE, Nickel, PGE, hydrocarbons, ground water. We offer professional, high quality services in the following areas: Geophysical Consulting, Contracting Services and Geophysical Instrument Rental.